How easy and convenient if your financial transactions are only a click away. Like paying your monthly bills, loading your phone, sending money to your family, transferring funds to another bank account, etc. 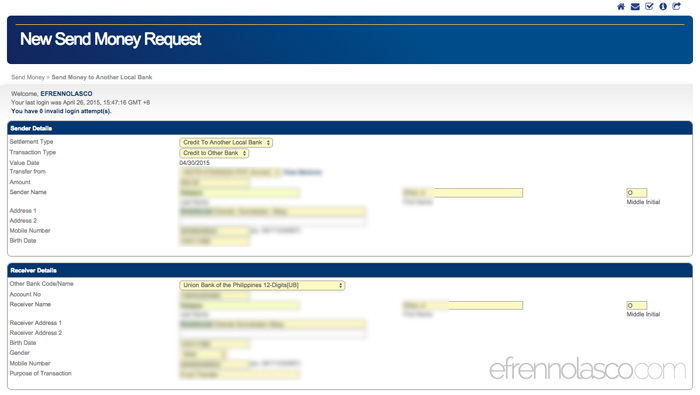 This is what Banco de Oro (BDO) Online Banking is all about. If you have an account in BDO you can easily register for online banking and take advantage of their online banking services. Using BDO online banking you can do almost everything with your money without leaving in front of your computer. As I mention above, you can transfer funds to another local bank account, it’s very convenient and hassle free since you don’t need to withdraw your money and then deposit to another bank. The only disadvantage of transferring funds to another bank account online is the service charge which, if you do it manually it’s free. There’s a service charge of Php 100.00 for every transfer that you make using BDO Online banking, any amount that you transfer + Php 100.oo service charge. If you don’t want to pay the service charge, you can do it manually, but you also pay for your fare if the bank is far from your place and the time that you waste when you go out. If you want to make online transfer, this article will show you every step, just follow along, I also included a screenshot in every step. 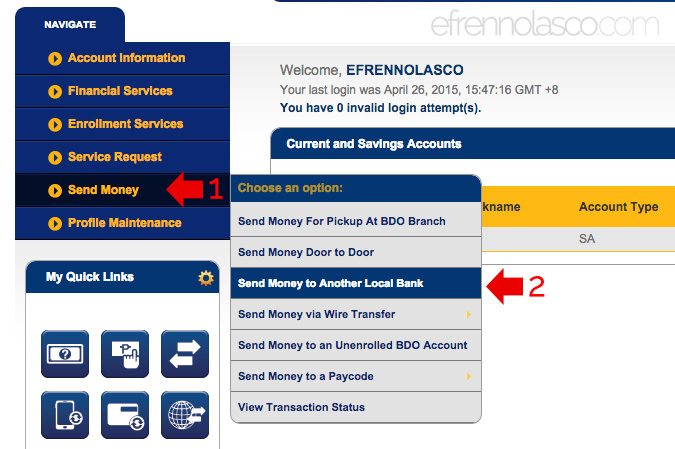 While login to your BDO Online banking account, head on to the left navigation menu, and select “Send Money”, on the drop-down menu that will appear select “Send Money to another Local Bank”. See the screenshot. It will open the send money request form where you can enter your account details as the sender and receivers’ information, including the name of the local bank which you can select in the drop-down and the account number. If everything is filled out completely, click submit. A confirmation will popup, double check all the details that you enter then click continue. That’s it, easy and convenient. For your reference, these are the local bank that you can choose to transfer funds, according to the BDO online banking page. Alphabetically sorted. 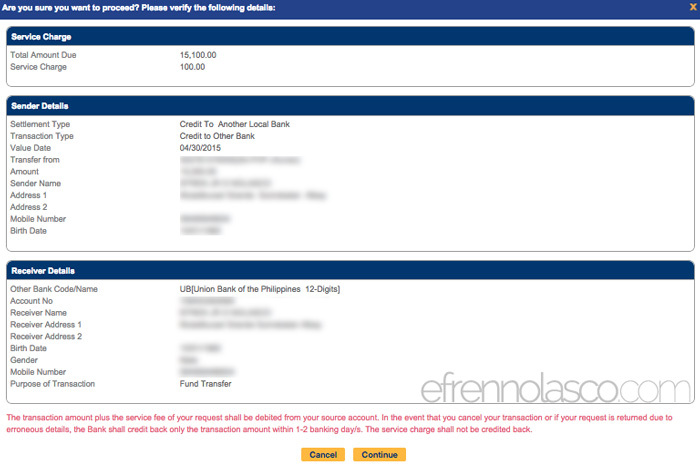 How do You Transfer Funds From Your GCash Wallet to Your Bank and Vice Versa? How do You Compute for Your Back Pay?